This is the 3rd and final installment of the Memory Collector series. Our familiar characters are back, sort of. The detective is his usual stoic self, but Moira isn’t quite Moira. She is, but she has some internal stuff going on (trying not to be spoilery). Even with this, she makes familiar decisions that we’ve come to be both admirable of and infuriated at. Sometimes I really just want to shake her shoulders… really really hard. The writing immerses the reader in the time period and era the author has built. She does a great job of being authentic – although this is a fantasy world, it is rooted in turn-of-the-century North America. I can imagine the clothes, the motor vehicles, and the demeanor. The author is especially good at getting the reader to care about secondary characters where we even worry for them when they’re missing. Even the phoenix is multidimensional and when certain things happen, you have mixed feelings about it (again, trying not to spoil). I would have liked to have more time with Keenan and Moira together, but I understand why that wasn’t really possible given the plot. I still missed their give-and-take though. Overall, this was a great ending to the series where all questions were answered and the future set out for us. 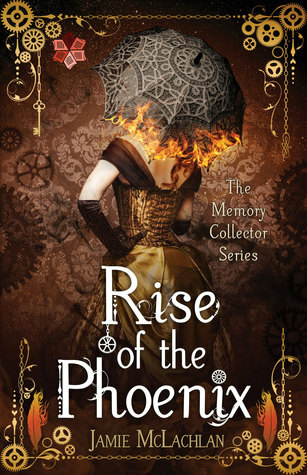 I would highly recommend this entire series for all lovers of fantasy or just a great story.